Some more gifts for new babies. They have two snaps on the neck so they are adjustable and can be used for longer. 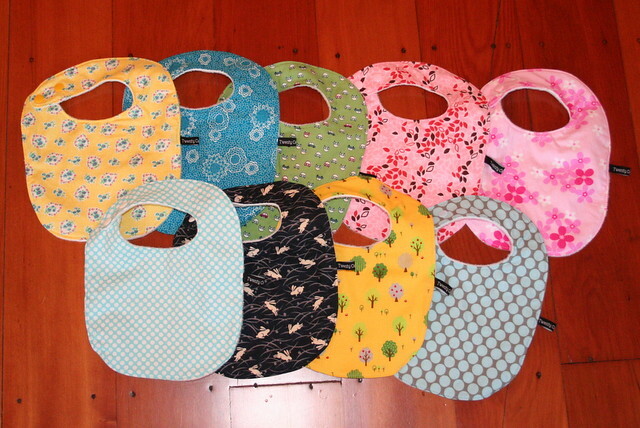 I have been making these bibs for years and they are always gratefully received and well used by the mamas I have gifted them to. I made doubles of some of these which I will try and list in my very neglected Felt Shop in the next few days.